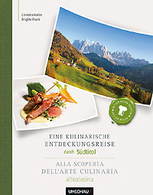 Auszug aus dem Titel "Eine kulinarische Entdeckungsreise durch Südtirol"
Lesen Sie den gesamten Artikel über den Wassererhof! „An old shabby farm house has been carefully renovated – with attention to detail. An old farmhouse near Bolzano has been turned into a farm inn by the sons Andreas and Christoph Mock. Together with the architect Sylvia Hafner-Polzhofer they looked for a concept beyond the Tyrolean rustical idea of architecture. Character, atmosphere and structure of the old buildings have been preserved and combined with new contemporary designs in the interior construction and furniture. „The construction task was to restore and reshape an old farm house to a Buschenschank. The starting point was a house made of stone walls with old wooden ceilings. It was my objective to interpret the rural construction style in a contemporary way without relying on the rustic elements. „When the twins Andreas and Christoph took over the run-down Wassererhof, Andreas was still working as a bookkeeper. But cooking was his passion. The Mock brothers uncovered the old natural stone walls of the main building constructed in 1366 and scraped off the soot of the old beams. They chose oak and acacia tree discs for the flooring. Frosted white lamps made of Murano- glass hang above the bare wooden table. The bar counter is made of slightly corroding steel. 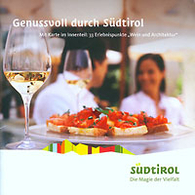 The result is a Buschenschank that combines the cosiness of a South Tyrolean ‘Bauernstube’ (rural living room) with the design of the 21st century. „Built in the 14th Century, the Wassererhof was doomed for a long time, until the Mock family bought the homestead in 1996 and renovated it skillfully.